Since I made my account I wanted to share some of my drawings but I have been bussy this year, and now that my exams are over I thought now was the right moment. I use skeletal reconstructions as reference for proportions and I try to make my drawings scientifically accurate. I have to admit that all my drawings are always in profile and plain because I don't know how to draw in perspective, which also limits the poses of my dinos. I´m working to improve a bit by adding shadows to my drawings however is is a bit difficult to get them right. 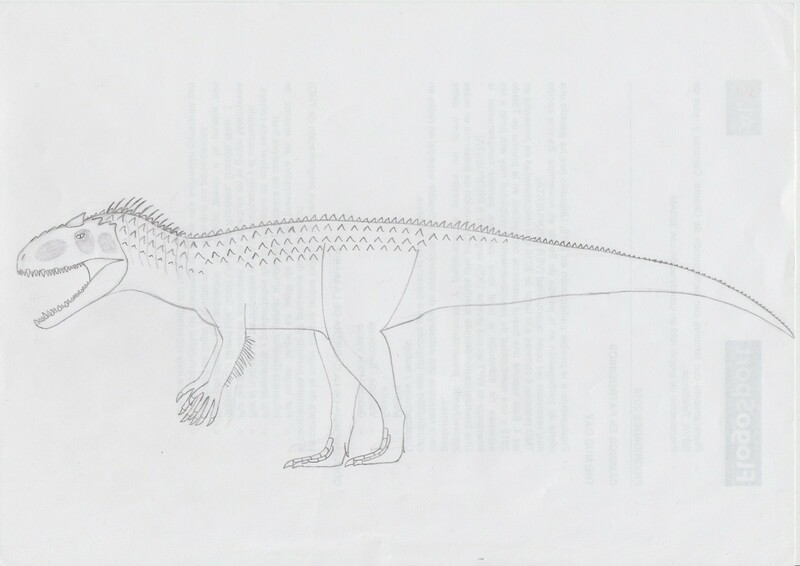 With that said I hope you enjoy my humble artwork, so let´s start with my favorite ornithopod, Edmontosaurus annectens! I will probably add colors to it in the future but I have yet to think how I want it´s color scheme to be. I also decided not to add the little crest found in E.regalis. It seems like my scanner is not the best, but at least you can have a decent view. I use skeletal reconstructions as reference for proportions and I try to make my drawings scientifically accurate. I have to admit that all my drawings are always in profile and plain because I don't know how to draw in perspective, which also limits the poses of my dinos. 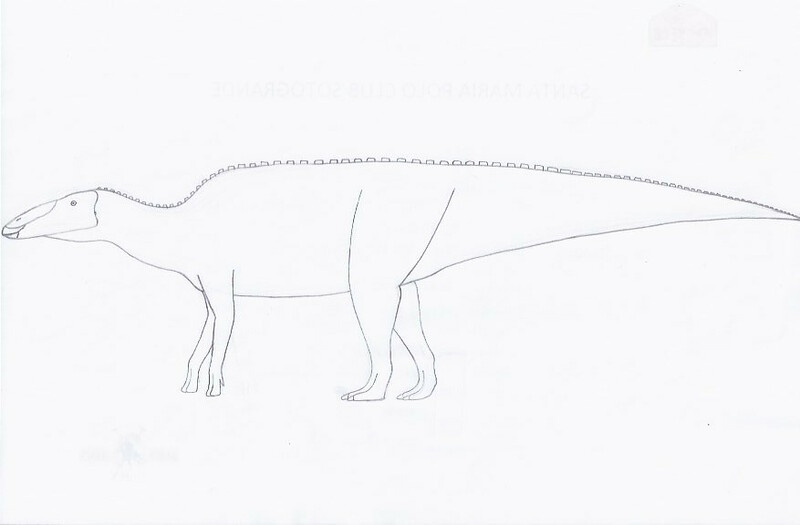 Personally, I can be a bit frustrated that most readily-available skeletal reconstructions are a dead-on lateral view. Makes it difficult to determine the width and 3D shapes of the skull, especially. But hey-ho. For drawing with perspective and depth, I think you could do worse than visit conceptart.org - one of the biggest and IMO best communities and resources with a focus on representational art. Granted, most of the advice for the beginner may be the standard 'read Loomis'* and 'practise practise practise', but it's still good. I'd also recommend a good read through James 'Dinotopia' Gurney's blog, which is a massive resource for many technical aspects of art, and leads to links for his books and videos. Search for his '4,000 posts' and 'ten years' posts, which act as handy bookmark lists for some of his more popular and in-depth discussions. * Andrew Loomis, early-20th-C illustrator and art instructor. His books are still highly recommended for beginner artists, and are available as relatively new editions from Titan Books. His or any other exercises might involve a lot of practise on basic, non-dinosaurian shapes, but it's all good. I thought this thread was going to stay dead and unreplied forever! @WarrenJB thanks for the tips. I will take a look at them. Eventually. When I have more spare time. I don't want to sound harsh but this user above would deserve an immediate ban, in my opinion. He / she seems to be purposedly trolling MLMjp here and in the other thread. Just my two cents. So report it to the moderators, don't weigh in in public. Hey everybody! Here I am, trying to resurrect this tread a little bit. PD: This drawing is like 2-3 years old. I don't know why it has taken me this long to post it.